In Biscayne Bay, Miami, Florida, it is unknown why two micro algae blooms and one macro algae bloom have occurred in the last decade. But, these harmful algae left Biscayne Bay with an estimated loss of 51% of seagrass population and a general reduced visibility. While there is a list of chief suspects, including stormwater runoff, leaky septic tanks, and trash pollution, there is still no clear cut evidence pointing to one or multiple causes. One thing is certain, however: Biscayne Bay’s water quality is degrading and this degradation will have dramatic and negative consequences. 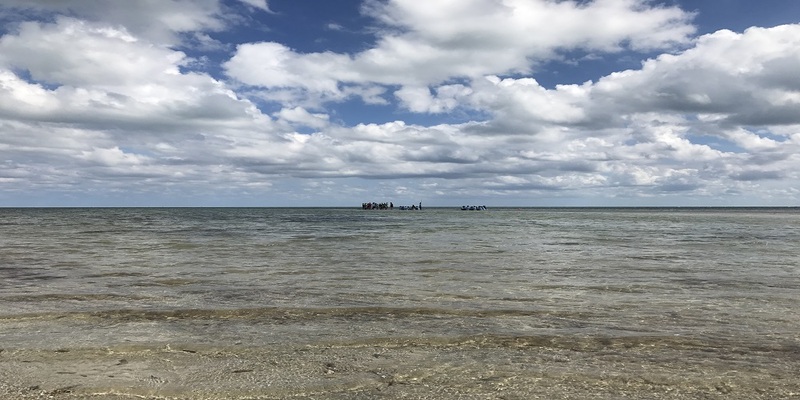 Beyond the implied loss of marine life, worsening water quality will also result in a damaged local economy, especially for the residential island sitting in the northernmost part of this bay, Key Biscayne. A large part of Key Biscayne’s revenue comes from its tourism and that tourism largely depends on water. Besides general activities that cannot be done without healthy water, like wake boarding or even just swimming at the beach, the whole charm of Key Biscayne relies on being a tropical paradise with beautiful waters. But, the part that includes “beautiful waters” (the waters I grew up with) is now at risk. Because this island is home to me, I chose to begin monitoring my local water sources. Besides being an excellent excuse to visit my local beaches, testing water quality has also been super educational and fun. I’ve learned how temperature affects different parameters, the importance of oxygen, and the awesome sense that you get when you start mixing colored vials and you think you’ve become a mad scientist. All jokes aside, however, measuring our local water sources to better help protect them is probably one of the best things anyone can do for their local environments, so I’m glad I started and hope others do too. Editor's Note: Domingo Cortinez is an inaugural EarthEcho Water Challenge Ambassador, a group of young leaders working to engage their communities in water quality monitoring and conservation efforts while increasing their knowledge of water science and gaining skills to expand their work in this field. To learn how you can join Domingo in taking action to protect waterways in your community, check out our EarthEcho Water Challenge resources.